Escape the urban bustle at Bhandup Pumping Station and Aarey Colony. 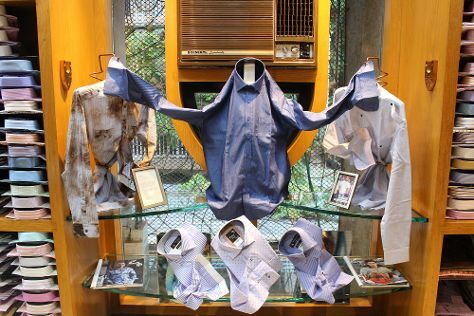 Eschew the tourist crowds and head to Charagh Din Shirts and High Street Phoenix. Explore Mumbai's surroundings by going to Alibaug (Lavish Antique Clocks & Nagoba Mandir), SMART Eco Park (in Panvel) and Navi Mumbai (Inorbit Mall Vashi, Nerul Balaji Temple, & more). And it doesn't end there: identify plant and animal life at Conservation Education Centre Of BNHS, tour the pleasant surroundings at Varsoli Beach, get in on the family fun at Red Carpet Wax Museum, and steep yourself in history at Chhatrapati Shivaji Terminus. To see reviews, other places to visit, traveler tips, and more tourist information, refer to the Mumbai trip planner . In December, daily temperatures in Mumbai can reach 38°C, while at night they dip to 20°C. Finish your sightseeing early on the 27th (Fri) to allow enough time to travel back home.